It's premature to think of this as a treatment; the study only looked at 104 people, and needs to be repeated in much larger groups before it can be deemed effective. But it sets the stage for broader clinical trials. Recent research has suggested that insulin plays an important role in a number of brain functions, in addition to regulating blood sugar. Insulin promotes cell repair and cell genesis, so the thinking is that it could actually modify the course of Alzheimer's disease, says lead study author Suzanne Craft, professor of psychiatry at VA Puget Sound and University of Washington. It also appears to protect against the toxic effects of beta-amyloid, the protein involved in the brain plaques associated with dementia. Insulin also prevents the formation of the toxic form of tau, a biomarker found in the cerebrospinal fluid of Alzheimers' patients, Craft said. "What we saw was that for the insulin-treated patients, the ones who had improvement in memory and function had improvement in spinal fluid biomarkers," she said. The goal of this study was to supplement and normalize the insulin levels in the brain without affecting levels in the rest of the body. This was done with a device that was designed to deliver insulin through the nose to the brain without getting too much into the blood. Researchers tested patients who had either early Alzheimer's or mild cognitive impairment, a team for the early stages of dementia. Patients treated with insulin were able to remember information over a period of time better than those who got placebo; in fact, performance improved 20%. They also showed an enhancement in brain glucose metabolism in some areas; those who received placebo tended to show a decline. Alzheimer's patients in the insulin group benefited more in terms of daily function than those with mild cognitive impairment, but by definition mild cognitive impairment does not greatly impair daily functioning. The treatment had the mild side effects of occasional mild headache and runny nose, but had a good safety profile generally, Craft said. 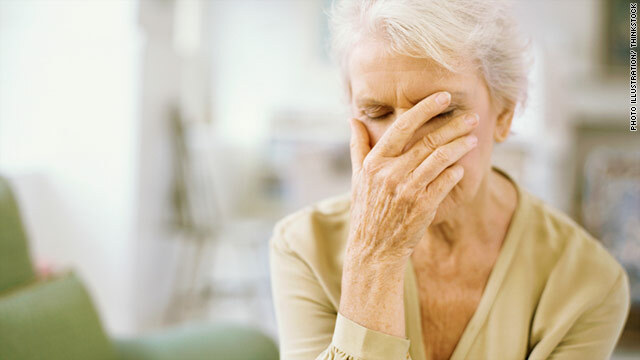 In patients with mild cognitive impairment, researchers observed improvement in daily function and general cognitive abilities. But researchers don't know what would be the optimal dosing and schedule of intranasal insulin for treating dementia; that is still an open question. So what does this mean for diabetics who already give themselves daily injections of insulin to manage their condition? Researchers don't yet understand how much of that insulin is actually getting into the brain, Craft said; and if you're not diabetic, having high levels of insulin in the blood is probably not good in the long run, so no one should experiment with this at home. Diabetes is a known risk factor for Alzheimer's, but there are a lot of unanswered questions about that connection. yeah, i first read pungent and thought, no that isn't right. then saw it did in fact read pugent. which i figured should read puget, but honestly CNN, who is proof-reading? I hope to god that someday this illness is rid from the earth! I know the feeling went thru the whole ordeal until my dad past away because of this. these are one of the new treatments that renews hope for this difficult disease. drugs that work on insulin have shown promise and changing your diet to reduce carbs can also help. there is a nice review on how this works in a new book called "Treating Alzheimer's Preventing Alzheimer's" 2011, the diet is based on research proven to improve memory with nutrition (Dr Craft did this research too i think). So interesting. Alzheimer's is being called diabetes of the brain in some circles. Makes sense with the insulin connection. Oh, BTW, what diet controls insulin levels? Oh yea, the Paleo diet that CNN's nutritional expert said was a fad diet. Sigh. Any type 1 diabetic that tries dietary control is a sick or dead diabetic. Period. Dietary controlled diabetes is type 2 diabetes, where insulin tolerance develops, in most cases, due to high amounts of fat causing insulin produced by the body to become ineffective. But, one wonders if a defect in the blood brain barrier could alter the transport of insulin and other essential chemicals to the brain, causing or significantly impacting the disease? Defect in the BBB, what do you mean? Wzrd1 is 100% correct. I knew 2 Type 1 diabetics treated with caloric restriction and died of coma induced by low blood sugar. (Cancer patients, may they RIP). http://en.wikipedia.org/wiki/Blood_brain_barrier has a good intro synopsis of BBB diseases and problems. Insulin can pass(as we currently think it can) through the BBB and needs to in order for glucose to be used by sells in the brain. There have been studies that point to people with removal of pancreous that insulin is still produced somewhere in the brain. What if insulin can't pass through the brain and people can have a damaged area of the brain that produced insulin? just losts of questions here. Typical "treat the symptoms" medicine dictated by the lords of American medicine..........the pharmaceutical companies. Anyone wonder why after decades of research and billions of dollars spent we still have no cure for these diseases? Its b/c all the research is focused on alleviating symptoms. If you cure something like cancer, where is the money in that? The money is in the expensive diagnostics and myriad of drugs that alleviate symptoms. There is nobody focused on developing actual cures. I've read some cynical comments in my day, but this takes the cake. You have the gall to suggest that all of the people around the globe (you think only American's are involved in this research??!) working to combat diseases like cancer and Alzheimer's, are secretly hiding any possible cure they might find in order for their employer to continue to rake in the bucks on prescriptions that simply treat the disease? You sir, are pathetic. Spoken like a person utterly ignorant on all topics of medicine. You seem to think that there is a magical cure that remains hidden for the death of brain cells in Alzheimer's. That there is a magical cure for diabetes, in particular, type 1 diabetes, where the cells that produce insulin die. No, it's all the grand conspiracy of the space aliens or something! Meanwhile, one wonders, could Alzheimer's be linked to a change in the blood brain barrier, one that prevents essential hormones and other biochemicals necessary for normal restoration of function? @Walter I'm sure there are people who are very passionate about curing the diseases. But CEO's in large corporations, many times, are cold-hearted and only respond to sales statistics. I'm not making this up out of thin air. You should know as well, there is time and time again that we hear about safety negligence causing people to die or be injured or poisoned so that large corporations can save a buck. When lawsuits are brought up against these corporations, they settle out of court and it's all swept under the rug. Why would the pharmaceutical industry be any different? The truth is preventative medicine competes with medicine to treat the symptoms of ailments and diseases. And providing products for treating the diseases returns more profit than providing products than promote health. I know for a fact that some of these companies have patented and shelved technology that could be beneficial because it competed with something that returned more profits. It's the nature of the beast. These corporations are run by business people, not philanthropists. I know people involved in both cancer and Alzheimer's research, as well as a myriad of other diseases (we work on diabetes, depression and heart disease in our lab – yeah, seems like a weird combo, but our research models affect all 3). I can assure you that researchers are interested in cures, prevention and symptom treatment. The problem is that you can usually alleviate a symptom more easily than attacking a disease's cause (assuming the cause is know, which is not the case in Alzheimer's). Type 2 diabetes? Use a treatment that increases insulin sensitivity in fat cells. Getting the fat cells, muscle cells, liver, kidney, brain, pancreas and digestive track to properly sync their activities so the body responds properly to insulin? That is difficult. A cure could be just as profitable. Let's take type 1 diabetes as a hypothetical example. Scientists can already regrow the pancreatic insulin-producing Beta cells. What they can't do at the moment is stop the immune system from destroying them again. But, if they could develop a targeted immuno-suppressant... why they could charge you to fix your pancreas and for a lifetime continuous stream of immuno-suppressant drugs to keep it healthy. Profit doesn't go away, the charges just change. This person is like so many other posters who blame all of the world's evils and problems on Western corporations. They are completely clueless about most everything, but feel better getting their 2 cents worth in. very interesting. I appreciate the knowledgeable discussion. thanks! Another issue is that Alzheimer's pts rarely have just one thing going on - they have Alzheimer's and may also have CHF, COPD, DMII, CAD, PVD, Acute on chronic KF, long standing HTN, history of MI, CVA, etc. Until a good study is done on a large cohort of early onset Alzheimers (the folks less likely to have bunch of comorbidities and be on a bunch of meds for those disease processes), it's hard to tell if it's just the nasal insulin or the nasal insulin in conjunction with something else. Walter and Wzrd1, you missed Paul's point. He's totally correct. He's not saying they've ALREADY found a cure and are sitting on it, but rather how Big Pharma is NOT interested in curing anything because then they'd be out of business. It's all about the money. It's not cynicism, it's the reality of mainstream medical. One example, the bogus "Niaspan" combination of a statin and simple niacin. It's the niacin that works, but you can't patent a natural substance. And Wzrd1, you are totally mixed up in your comment at 20:43. I hope that you meant that if a type 1 diabetic ONLY tried to manage their disease by diet WITHOUT taking insulin, then they would be in trouble. A Type 1, which I am one, had BETTER be doing the right stuff with their diet, or they end of taking too much insulin which creates a life-long cascade of complications. And insulin RESISTANCE is caused by a diet high in carbohydrates. Maybe you meant that BODY fat causes insulin resistance, which is true, but where did that come from? CARBOHYDRATES. If you research the places mentioned above you will begin to understand the horrible march to death mainstream medical has had diabetics on. I can't believe that they would dare to publish an article with such an impactful headline based on so little research. This story is bizzare and makes no sense. Are they saying that people with Alzeimers are producing less than normal insulin ? Low blood sugar causes impulsive behavior which looks quicker and clearer but is not more mental processing. In fact, it is less mental processing. If you give a non-diabetic person insulin, their body will produce less insulin so the total insulin in the body is the same. So if there is true improvement in those patients, then research should quickly focus in on what else is being absorbed with the insulin. Excess insulin is converted into growth hormone among other things. It might be the HGH is what is causing the clinical effect. The eveidence of a diabetic like brain condition in ALzheimer's has been around for awhile. Baiscally, the person's brain cannot get energy from foods consumed. This is why so many crave carbohydrates. But what works quite well is MCT (medium chain triglycerides) Alzehimer's people have made great improvements using this treatment. You can find out more about it in the book, "Alzheimer's Healing". It's available thru Amazon. We have been using this with my father-in- law for the past year, since his diagnosis. I believe it's the reason he has done as well as he has and is able to stay off the pharmaceuticals with all their ugly side effects. I hope no tax dollars were wasted on this. Only prayer can help these people, for they have sinned and this is God's punishment. By choosing TEAPARTYEXPRESS as you name and making a foolish comment will not convince anybody the party is full of dummies...we already know that. You are a buffoon, ignorant and a hateful person. But you've been told that before, haven't you? What did you do to derserve God's wrath? You loser. Alzheimer's cannot be diagnosed without an autopsy. The term gets thrown about constantly, but incorrectly. There are many forms of dementia. To quote the article, "Researchers tested patients who had either early Alzheimer's or mild cognitive impairment, a team for the early stages of dementia." A team? Put down the spell-check and proof your work. John, please seek anger management before you pop and artery. I think this makes a lot of sense. Insulin of course is closely tied in with cellular metabolism, and under the kynurenine hypothesis (for which there is a lot of solid evidence) it's thought that AD pathology is caused by a disregulation of energy metabolism in the brain. Giving insulin to the brain might very well be correcting that disregulation. I have been taking insulin for 30 years. Diagnosed as a type 1 with extreme weight loss and excessive hunger and thirst. My question is if Alzheimer's patients are given insulin when they do not have high blood sugar levels what prevents hypoglycemia? 2. Insulin in the Central Nervous System of Alzheimer's patients has been around awhile now and is not well understood yet. regarding #4: how much force will insulin create? Alzheimer's disease has been loosely termed "Type III Diabetes" by researchers. Recently, it was discovered that the brain produces it's own insulin, but that this insulin production drops off dramatically in patients at the beginning stages of Dementia. No surprise insulin will help people with Alzheimer's, dementia, and all cognitive impairment; the links between diabetes and Thinking Not Working(TM) are many and long studied. WHY DON'T FAMILIES KNOW THAT?! Thank YOU for posting this story. what about a good diet so you actually produce your own insulin? Hi, Neat post. There is a problem with your website in web explorer, would test this? IE still is the market chief and a huge component of people will pass over your wonderful writing because of this problem. Payday loans for unemployed are the rays of security and money for those who are race in of calling rightful to any reason. Payday loans in the service of idle helpers every yourselves in Payday Loans but people can relate them at limited behoof grade next to making a straightforward analysis at online arena.